The Clinical Nurse I/PRN/Staff Nurse is responsible for direct and indirect care of patients as assigned during a given period of time. The Clinical Nurse I/PRN/Staff Nurse assesses, plans, implements and evaluates care according to hospital policies, protocols, care standards and procedures with particular attention to varied age groups served. She/he responds to rapidly changing events by drawing on past clinical experience. 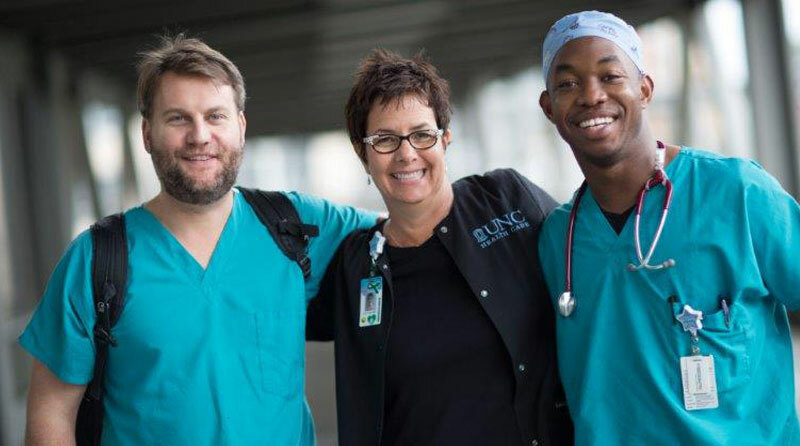 Serves as a resource for other less experienced nurses and is responsible for the direction and supervision of other nurses during assigned periods. The Clinical Nurse I/PRN/ Staff Nurse is also actively involved in the teaching and socialization of other clinical nursing staff. The following is a summary of the essential functions of this job. The incumbent may perform other duties, both major and minor, that are not mentioned below; and specific functions may change from time to time. Provides direct patient care. Utilizes the nursing process in planning and prioritizing patient care. Communicates effectively verbally and in writing with patients, families and members of the health care team. Contributes to unit operations. Demonstrates accountability for and promotes own professional growth and development. Practices guest relations with all persons. One year of previous experience preferred. ICU and Telemetry will require additional work experience. Demonstrates ability to interact effectively with patients, families and others. Demonstrates an attitude of cooperativeness and team spirit. Provides evidence of professional values and ethics via reference. Meets employee health requirements of Caldwell Memorial and registered nurse health requirements of North Carolina Board of Nursing. Must be able to stand and walk for long periods of time in order to provide patient care. Must be able to turn and position patients. Must be physically able to perform CPR. Must have visual acuity to assess patient, transcribe physician orders, read medication administration record and other chart forms. Must have adequate hearing to hear patient call bells and communication with physicians and other health care personnel by telephone (hearing impaired phone may be used). Must have manual dexterity adequate to establish IV infusion sites, manipulate tubing, solutions and other patient care equipment/supplies. Moderate physical exertion is required, including but not limited to moving, lifting and transferring patients. Must be able to lift and support a minimum of 50 lbs. Must be able to lift and support a minimum of 150 lbs with assistance. Under certain circumstances lifting devices and equipment as well as additional personnel may be required.